Some of you may be asking "What is Snapchat?" or "Why would I ever want to use that?" After diving a little deeper into the newest social media platform, you may be pleasantly surprised and think again about becoming a Snapchatter. Snapchat allows a person, business or brand to send photos and video — called Snaps — to their friends and followers and then they disappear after 10-seconds. Snapchat also has a feature that lets you tell a story with your Snaps, better known as a “SnapStory”. 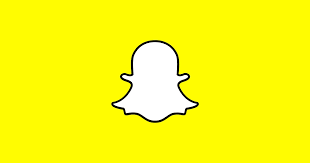 Adding a Snap to your story allows fellow Snapchatters to view your Snap an unlimited number of times for 24 hours. When using Snapchat, always be sure to take a step outside your comfort zone and have fun! If you are ready to dive in a little deeper, you can also advertise your business to an ideal audience on Snapchat with Snap Ads. Now it’s time to boost your brand and show off your business! Don’t forget to promote your new Snapchat on your other social media networks as well. Do you use Snapchat in your marketing? In what creative ways do you use it to show off your business? Share your thoughts in the comment section below! The buzz that you hear when a bee approaches is the sound of its four wings moving at 11,400 strokes per minutes. Bees fly an average of 15 miles per hour.